Salmon Farmers have used the word Organic salmon on the packaging to manipulate and confuse consumers into buying their toxic farmed salmon. The purpose of organic labels is to give consumers confidence that they can choose a product that has a significantly lower ecological footprint than that of conventional products. And, for many it may also be considered the healthier choice – a product free from harmful chemical residues that can be associated with intensive agriculture. Sadly, when it comes to organic farmed salmon this is not the case. It may come as a surprise to consumers to learn the farmed salmon organic label is instead masking a myriad of environmental impacts. 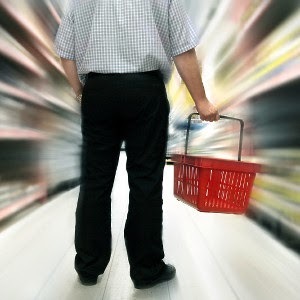 “What comes to mind when you think about certified organic food? Perhaps you think of food that is better for us and the planet. Food that avoids synthetic pesticides. Livestock that are fed a 100 per cent certified organic diet. It seems intuitive that the same organic principles that exist for land-grown organic produce, livestock and dairy should also apply to farmed fish. This is apparently not going to be the case.” David Suzuki Foundation, Canada, 2012. These practices are inconsistent with current organic agricultural standards and not what consumers have come to expect from an ‘organic’ label. Organic salmon farming dominates Irish fin-fish aquaculture. What is more, it is an area earmarked for a greater level of growth than for any other area of food production. They key players: Simon Coveney, Minister for Agriculture, Food and the Marine; Donal Maguire and Jason Whooley from Bord Iascaigh Mhara; and Richie Flynn of the Irish Farmers Association; can be heard on an almost daily basis promoting the development of this industry. Interestingly, this growth is backed in policy documents Food Harvest 2020 and Our Oceans Wealth. Indeed, if we are to believe what they say, organic farmed salmon offers consumers around the world a healthy, sustainable choice of fish. But, is this true? Salmon are carnivores, and in the wild their diet consists of nothing but smaller fish and crustaceans. The diet of farmed salmon must replicate that of wild salmon for them to gain the nutrition they need. However, here lies a problem – today’s fish stocks are highly depleted and many fisheries are deemed unsustainable. To combat this issue, the theory was organic salmon farmers would use filleting waste from sea fisheries that have won sustainable status from organisations such as the Marine Stewardship Council. Alternatively, farmed salmon could be fed on products derived from other forms of organic aquaculture. In addition, vegetable proteins could be used. Unfortunately, this approach failed. Not enough of this sustainable fish waste, nor organic based aquaculture products are available to meet the demand. Research has also shown salmon fed on vegetable protein had reduced levels of omega 3 fatty acids that is claimed to be the primary benefit of eating farmed salmon. As a result, the rules have been changed to allow fish meal and oil from unsustainable sea fisheries and non-organic aquaculture operations to be used. What does this mean? Today, organic salmon farming is supporting unsustainable sea fisheries, placing additional pressure on already strained global fish stocks, and encourages non-organic aquaculture practices. In no other form of organic livestock farming are such practices allowed. The flesh of wild salmon is pink – a result of the crustaceans in their diet. However, as a result of their artificial diet, farmed organic salmon’s flesh is grey. Unsurprisingly, consumers do not want to eat grey salmon. For this reason, organic salmon farmers use the same colouring as is used by conventional salmon farmers. It’s called Phaffia, and is an industrially produced yeast that contains high levels of astaxanthin. Organic salmon farms are also at liberty to use immunisations, chemical treatments and antibiotics to combat disease and parasites such as sea lice. Extraordinarily, most used today are not natural based products but the same chemically synthesised treatments used in non-organic aquaculture. As most treatments are given in-feed, they are released directly into the sea in the form of fish pellets and indirectly in fish faeces. This causes untold damage to marine life and valuable fish stocks (see below). Then there’s the additional issue of the development of anti-biotic resistance. In order to control sea lice the legislation states that only two treatments are allowed per year. There is an exception where compulsory eradication is required. Given the on going presence of sea lice on Irish salmon farms, the reality is treatments are used on a far more regular basis to keep infestations under control. Currently, while organic salmon farms are required to keep data on chemical use, this data is not gathered by any government authority. When requested the government has been unable to provide it, instead directing interested parties to the operators who simply refuse to make this data public. This begs the questions: how can organic salmon farms be allowed to emit chemicals without any public record? And, what have they got to hide? Another key issue in organic salmon farming is fish health. While organic salmon farms typically stock at half the density of conventional salmon farms, the reality is fish are still kept in very crowded cages a mere 40 metres in diameter. Regulations state that every 10kg of salmon has a cubic metre of water. This roughly equates to bathtub of water per adult salmon. In the wild salmon can live for up to 16 years and will migrate up to 14,000 kilometres. Indeed, the only resemblance between a salmon’s natural environment and an organic salmon farm is that the latter is suspended in seawater. “Organic salmon farmers argue that they’re more humane as they stock at lower densities. But, they’re still taking a fish that would normally swim thousands of kilometres across the oceans and sticking it in a cage. Organic chicken farming does not allow hens in small cages even though they actually walk only very short distances.” Breda O’Sullivan, Save Bantry Bay. As with all intensive farming practices that involve animals being kept as such high densities, salmon farming poses risks for uncontrollable spread of disease. In 2012, Ireland saw outbreaks of amoebic gill disease in organic salmon farms all around the coast, resulting in mass fish kills. In a desperate bid to save profits, where operators saw farms were at risk of being affected by amoebic gill disease, they slaughtered fish early with this stock then entering the market. Waste produced by a salmon farm (fish faeces) is high the nutrients nitrogen and phosphorus. An average size salmon farm of 14 cages produces waste containing similar quantities of these nutrients as would a town the size of Bantry. While no land based farm is allowed to discharge such waste directly into the environment, this is permitted in organic salmon farming. The result is reduced water quality, and an environment ripe for the development of harmful algal blooms. Equally bad are the discharges relating to sea lice treatments. Sea lice are a copepod crustacean, and it should therefore come as no surprise that treatments designed to kill them also have a detrimental impact of other crustaceans such as lobster, crab, shrimp and prawn. 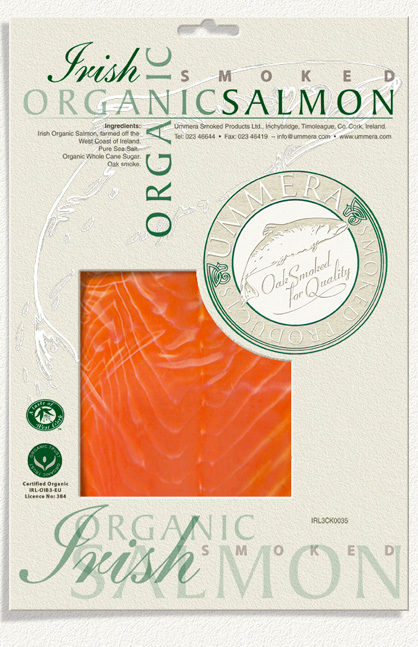 Today organic salmon farming permits the use of pesticide based SLICE® (Emamectin Benzoate) which is very toxic to aquatic organisms and may cause long-term adverse effects in the aquatic environment; Alphamax® (Deltamethrin) which is toxic to crustaceous animals, and must not be used when local sea currents leads to risk of exposure; and Excis® (Cypermethrin) which is also hazardous for the environment, and is extremely dangerous to fish. Hydrogen peroxide, whose eco-toxicity is unknown, is also allowed even though it has been stated to be highly aversive to fish and can cause mortalities. Any consumer purchasing organic salmon in the belief they are protecting the environment from pollution could not be more wrong. Yet, this is what today’s organic labelling scheme encourages. All salmon farms experience sea lice. Research shows these sea lice emanating from salmon farms can cause anything from a 40-50% reduction in nearby wild salmon populations. 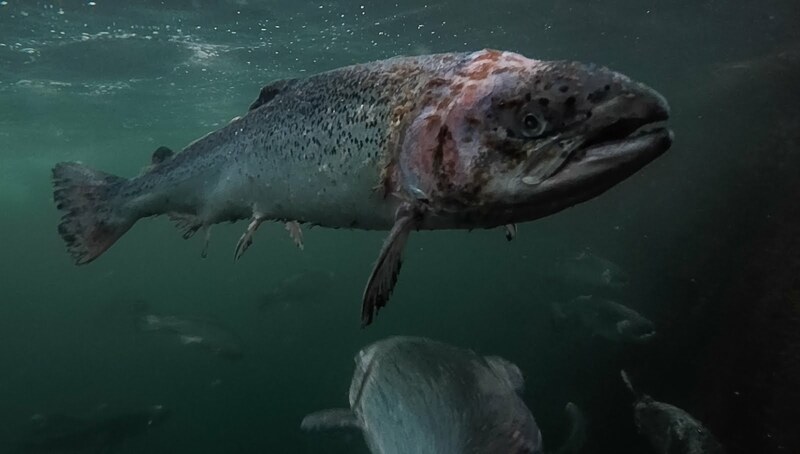 Despite Atlantic Salmon being a protected species, whose numbers have been in rapid decline over recent decades, salmon farming continues to devastate wild populations. It is for this reason recommendations have been made that no salmon farm should be placed within 20km of a wild salmon river. Yet organic standards have no such requirement, and are often located only a kilometre or two of salmon river mouths. What is more, many other protected species including sea birds, seals, otters and small cetaceans (dolphins and porpoises) are attracted to salmon farms as a ready food source. They frequently get tangled in nets and drown. To date no measures to protect against predators have been completely effective. Seals soon become accustomed to acoustic scarers, birds continue to get tangled in nets covering pens. In Scotland, salmon farmers are now be awarded licences to shoot seals with almost 1,000 being shot in the last two years. Organic principles call for the protection of the environment from degradation, erosion and pollution. So why is it that an industry that is associated with environmental degradation, habitat and species erosion, and pollution, is included in organic standards? Not only does this make a mockery of organic standards, it also misleads the conscientious consumers who chooses ‘organic’ salmon believing they are protecting the environment. “When the Soil Association (UK) chose to certify farmed salmon using standards that still allowed the problems of open-cages to persist, it’s Chairman, Lawrence Woodward, resigned stating ‘Salmon farming in cages has nothing to at all to do with organic principles. It is very regrettable that the soil association has gone down this line of trying to certify something that is so distant from the principles.” BBC, Concern Over Organic Salmon Farms, 2006. This tastey looking and fanciful packaged piece of smoked salmon looks great to an unsuspecting consumer. Nowhere on the packaging does it state that the salmon is actually sourced from Farmed Salmon! "Owner Anthony Creswell's award winning Ummera Smokehouse situated in peaceful, rural West Cork, Ireland by the banks of the Argideen River, is a leading light in food production and environmentally friendly practices. This second generation artisan, who took over the smokehouse his father Keith started in the 70's, has strived to develop the original fish smoking business whilst taking on board the impact that fishing for wild salmon has had on river stocking levels in recent years. To this end, Anthony chose a few years ago to make the changeover to sourcing organic farmed salmon from Clare Island Co. Mayo, as stocks of wild salmon were in decline. This change preceded the wild salmon fishing ban that ensued from 2007. The fish Anthony smokes are the finest of specimens, organically farmed off the west coast of Ireland. Salmon are treated with tender loving care at the hands of this Master Smoker. In the cure, Anthony uses a mix of organic Portuguese sea salt and Costa Rican pure cane sugar before smoking his fish over wood chippings obtained from sustainable forests. Outside the smokery, a natural wetland and vermi-composting unit deals with waste from production. So this small eco-business produces fabulous artisan produce, thriving in the heart of its natural country surroundings, and doing little damage to the environment around it."